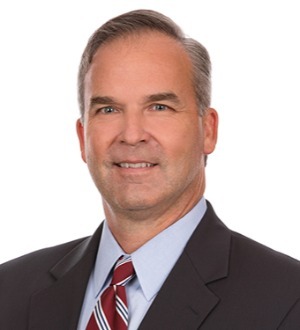 Jeff is an experienced employment and workers’ compensation litigator serving the healthcare, hospitality and retail, manufacturing, professional services, and transportation industries among others. With over 20 years of experience, Jeff’s philosophy is to provide the highest quality client services while seeking to deliver the most satisfactory results in the most efficient manner available. Jeff graduated with honors from the University of North Carolina School of Law in 1995, and joined the firm that same year. He is a shareholder, a former member of the firm management committee, and co-leader of his litigation team. Jeff has an AV Peer Review Rating from Martindale-Hubbell. In his spare time, Jeff is a passionate golfer, avid reader of historical novels and an enthusiastic Tar Heel sports fan. He and his wife, Kathleen, and their two sons live in Raleigh.